Holding a market share of 23.18%, life GWP are growing rapidly (+34.76%), at that life paid claims dropped by almost 21%. Such a significant GWP growth makes the life sector the market's driver, taking into consideration that non-life sector in 2018 decreased by 2.74%. Non-life market share went down from 82.12% to 76.82% as well. The biggest portion of non-life GWP was generated by motor insurance. The class went up by almost 22% y-o-y. Its premiums increased in both: MTPL and Motor Hull. The most impressive growth rate was recorded in insurance against accidents (~+65%), and the most dramatic decline saw cargo insurance (~-49%). Total market paid claims in local currency increased by 7.26%. Paid claims increased only in non-life classes. 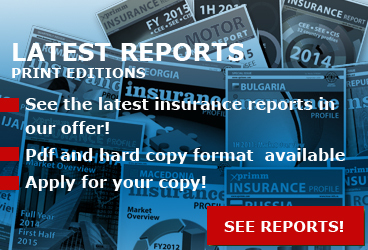 A significant increase of paid claims was recorded in cargo (+172.04%) and also in property insurance (+120.3%). However, due to depreciation of tenge against euro, the market paid claims in EUR, to the contrary, dropped by 2.78%. 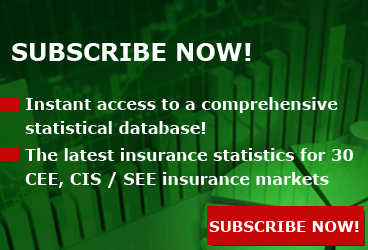 According to the market specialists, non-life decline was caused mostly by new legislation changes introduced by the regulator in part of its approach to reinsurance in civil liability and prohibition for non-life insurers to provide insurance of employer's liability. The local experts believe that the non-life portfolio will keep its decline trend in 2019 as well. As of January 1, 2019, the Kazakh market was represented by 29 active re/insurers. Their total assets amounted to KZT 1 048.5 billion (+13.3% in 2018). Total liabilities of re/insurers in 2018 increased by 13% to KZT 580.2 billion, and insurance reserves - by 12.8% (KZT 519.5 billion). Total equity amounted to KZT 468.3 billion (+13.7%). The market leader in terms of GWP and market share is still EURASIA, its GWP went up by 28%. 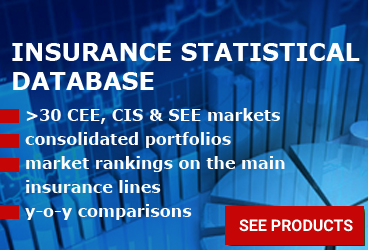 However, the most impressive growth was demonstrated by Halyk - Kazakhinstrakh (+73.48%) and NOMAD Life (+70.46%), included into TOP-5 market insurers. In terms of paid claims EURASIA is leading both by volume and by growth rates (+108.22). In life sector the leading positions are kept by Halyk-Life with its share of 41.29%. Totally in 2018 the life sector was represented by 6 companies, TOP-3 life insurers also include NOMAD Life and European Insurance Company. 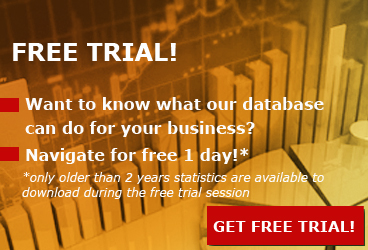 Access www.xprimm.com and download FY2018 Kazakh insurance market statistics.